Eco Efficient Dundee will never let you down when you contact us to repair your central heating system. Our goal is your satisfaction. With more than 10 years of experience in heating system, we are capable of handling residential and commercial heating system repairs. Eco Efficient Dundee has been licensed and authorised to carry out repairs for different types and sizes of heating systems. If you are looking for a professional engineer to repair your office, tenanted apartments, and private homes heating systems, contact us today. Our repairs services are tailored to ensure you enjoy safe and warm premises for a long time. With our labour and product guarantees, you can have some peace of mind that you will not incur any repair costs in the near future. We are very keen and have vast knowledge on heating systems, so we will detect any problem very fast and provide long lasting solutions. We guarantee transparent and fair pricing for all our services. Air lock in the heating system. 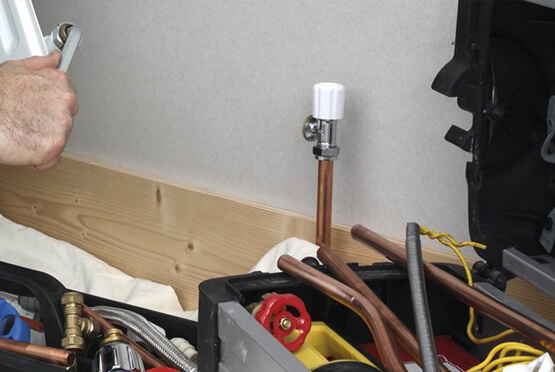 Convenience – Our Gas Safe Registered engineers provide consistent high quality services with no shortcuts. We have mobile response vans all over Dundee ready to serve you. As a local company, we understand our way around Dundee so we will reach you quickly. Our vehicles are fitted with GPS to help us in easy navigation. Affordable Services – We rely on the magnitude and type of boiler problem to establish the price of the service. Our no obligation quotes provide details for each cost. We however welcome our clients to query the billing policy; we will provide convenient service package to cater for your budget. Boiler repairs, pump repairs, radiator replacement and other issues are well taken care of to avoid reoccurrence. 24/7 services – Isn’t it good to know that you can reach Eco Efficient Dundee during public holidays, at night and at any time of the day? Report any heating issues to us and we will find an instant and lasting solution for you. Our engineers will identify the root cause of the issue before providing the solution. We have a two to five years warranty on labour. Eco Efficient Dundee is conveniently located to serve our clients better. We take less than an hour to reach you anywhere in Dundee. Contact us today for priceless service.